I can't wait. Just returned from Chinatown. I have all my ingredients ready – Chinese sausage (YUM!) was key for this very easy dish. I found this great recipe on the Sunday Nite Dinner blog last year and I've been wanting to make it again. 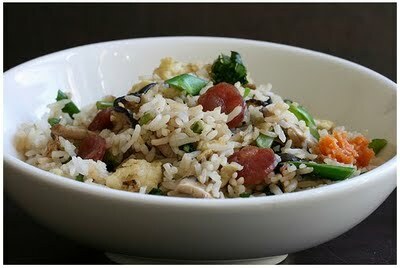 My version will be heavy on the Chinese broccoli and I will be using dried shiitake mushrooms. Perfect.